City of Lagos in Nigeria is set to witness what is sure to be the mother of all concerts as one of Africa’s greatest music exports, Bukola Elemide popularly known as Asa, announces her first ever live show tagged “Asa Live In Lagos” concert. The concert which will hold on Sunday May 1, 2016 at the Eko Convention Center of Eko Hotels, Victoria Island, Lagos promises to hold African continent spell bound. Over the years, Asa has been on many tours around the world, performing at some of the world's most prestigious venues. Her most recent tour, “Bed Of Stone Tour”, was voted as one of last year’s must-see tours by critics and fans. Now she is bringing the #BOSTOUR to Lagos to re-live this incredible tour at home! 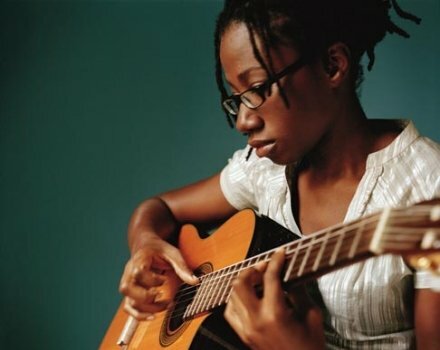 Asa, who has three (3) international release studio albums - live in paris and live in tokyo DVDs and chart-topping singles to her credit, will perform her most popular hits as well as tracks from her three albums including latest album “Bed of Stone”. Born in Paris to Nigerian parents, Asa has become synonymous with quality music in Nigeria where she grew up. Since she began her music career, she has performed in different cities and countries around the world, winning laurels for her breathtaking live performances. Most recently, Asa headlined the Etisalat Prize For Literature Grand Finale in Lagos, Nigeria where she, again, stole the show with a bunch of sensational performances.